A Thought for the Fourth of July: Can the U.S. Constitution Accommodate a Rogue President? This was quite a totalitarian show, rarely seen in a democracy, but common in a dictatorship. These secretaries (billionaires, CEOs, generals, etc.) were not saying that they were serving the people of the United States and its Constitution, to the best of their capabilities. No, instead, in a junta-like style, they said that they were serving the person of Donald Trump, above. all, not unlike the Cabinet appointees in North Korea are serving dictator Kim Jong-un. And, what is even worse, maybe, none of them thought of resigning, after being asked to shred any sense of self-respect in public, in the most servile manner. “if it looks like a duck, swims like a duck, and quacks like a duck, then it probably is a duck”. Very soon after his inauguration, Donald Trump began governing in authoritative way, issuing decree after decree, while attacking the press and the courts that stood in his way. Now, he seems to want the entire U.S. government to be at his personal service. 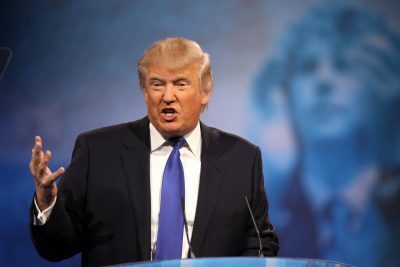 On February 17, I wrote a piece entitled “The Imperial Presidency of Donald Trump: a Threat to American Democracy and an Agent of Chaos in the World?” — Indeed, scandal after scandal, outrageous statements upon outrageous statements, insults after insults, falsehoods after falsehoods and self-serving idiosyncrasies after self-serving idiosyncrasies, Trump has confirmed the apprehensions of many, and he has clearly become “a threat to American democracy and an agent of chaos in the world”. One has to be blind or fanatically partisan not to see that. The U.S. Constitution was adopted officially on September 17, 1787, 230 years ago, and came into force in 1789. That makes American democracy one of the oldest in the world. Its constitution’s main idea is the separation of powers and the rule of law, with checks and balances, a political doctrine originating in the writings of 18th century French social and political philosopher Montesquieu (1689-1755). More precisely, the U.S. Constitution states that the president, for example, can be removed for treason, bribery, or “other high Crimes and Misdemeanors,” under the authority of the U.S. Congress. “Tyranny naturally arises out of democracy, and the most aggravated form of tyranny and slavery out of the most extreme form of liberty”. What Socrates meant by these words, of course, is that democracy, notwithstanding its merits, is not a permanent form of government, but it is always threatened in its existence by the advent of tyranny, by autocratic or authoritative rule by a single person, a would-be dictator, by an oligarchy, which is the tyranny of a minority, or by the tyranny of a majority against minorities, when there are no legal protections for the individual or for groups, and it thus requires a constant vigilance on the part of citizens. American Father of the Constitution George Mason (1725-1792) was also worried about democracy “when the same man, or set of men, holds the sword and the purse.” He feared that this could mean “an end to Liberty”. “in questions of power, then, let no more be heard of confidence in man, but bind him down from mischief by the chains of the Constitution”. 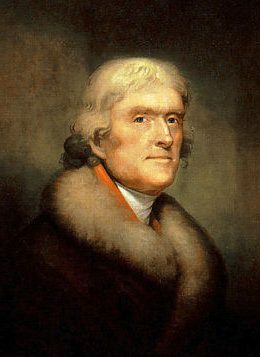 Was Thomas Jefferson too optimistic regarding the constraints a constitution imposes on people in power when the latter control money and the means of propaganda? Did he underestimate the possibility that political partisan interests, when a president is of the same political party that controls Congress, could, in fact, grant a sitting president, in advance, a statutory authority to violate the constitution at will, to govern by decree, or to wage wars of aggression abroad, at his discretion, without congressional due process? Indeed, a constitution is a living document, which, as political history indicates, can be amended, circumvented or changed to fit the needs of power hungry men, when the circumstances are favorable to them. The U.S. Supreme Court, which is the final arbiter of constitutional changes, can also be subverted, or filled with persons hostile to the very principles they are sworn to uphold. In other words, a constitution is as good as the people in power who believe in its principles. If people in power no longer believe in its principles, they will find a way to change it or circumvent it. This is major lesson of the history of democracy: Democracies do die and they can be replaced by tyrannies. During troubled political times or dire economic times, indeed, it can be feared that charlatans, demagogues, impostors, and would-be dictators could have a field day promising the people in distress easy and quick fixes for the lingering social and economic problems, in exchange for relinquishing their freedom. Italian newspaper editor Benito Mussolini (1883-1945) ruled Italy as Prime Minister and de facto dictator for more than twenty years (1922-1943). He was elected to the Italian Parliament on May 15, 1921, and his party, thanks to an alliance with rightist parties, gained thirty-five seats. From then on, Mussolini used violent and intimidating tactics to gain power. His Fascist blackshirt-followers launched a campaign to unseat the Italian government and they organized a “march to Rome”. On October 28, 1922, the then King of Italy, Victor Emmanuel III, turned down the existing government’s request to declare martial law to prevent a fascist revolution. This led to the resignation of the elected government. Then, in a most controversial decision, the King asked Mussolini to form a new right-wing coalition government, with the support of the military, and of the wealthy industrial and agrarian Italian establishments. Mussolini’s political objective was to eventually establish a totalitarian state, with himself as “Supreme leader”. Mussolini legally became dictator through a law passed on December 24, 1925, which declared him “head of the government, Prime minister and State Secretary”, with no responsibility to Parliament, but only to the King. Armed with absolute powers, Mussolini then proceeded to progressively dismantle all constitutional and conventional restraints on his power. The rest is history. Let us also consider the case of Germany, some 85 years ago, a European democracy and the most advanced economy at the time. On January 30, 1933, in a Germany still mired in an economic depression, Adolf Hitler (1889-1945) was named German Chancellor and head of a coalition government, even though his political party, the National Socialist German Workers Party (the Nazi Party) had not won a majority during the 1932 elections. Nevertheless, he had profited politically from the general dissatisfaction of voters with the way things were in Germany, politically and economically, and had promised an ‘effective’ government, besides promising to stimulate the economy by rearming Germany and by establishing new alliances. Hitler became a de facto legal dictator on March 23, 1933, when the German Parliament (the Reichstag) adopted a law (the Enabling Act), giving Hitler’s cabinet the power to enact ‘executive orders’ without the consent of the Reichstag for four years. —In effect, Hitler could govern by decree. —He became a true dictator on August 19, 1934, when a German plebiscite approved the merger of the presidency with the chancellorship, thus making Hitler Head of State and Supreme Commander of the armed forces in that country. Hitler could then freely prepare the German economy for war. Can Donald Trump Override the U.S. Constitution? Since the inauguration on January 20, 2017, incumbent President Donald Trump has shown a clear bent toward autocratic rule and has indicated his goal of boosting the U.S. military-industrial complex. For example, he declared on Thursday Feb 23, 2017, that he wants to build up the U.S. nuclear arsenal to ensure it is at the “top of the pack,” claiming that the United States has fallen behind in its atomic weapons capacity. “The same simplistic populism, the same anti-intellectualism, the same aggressive isolationism, the same xenophobia, the same militarism, and the same scorn of international laws and institutions are found in some U.S. Republican leaders today. The United States is perhaps in greater danger than many think.” (p. 224). I believe that these words could appropriately apply to the current Trump administration. In the coming months, the United States may face its most important democratic test ever. A most reckless decision by Donald Trump was to grant American military chiefs overall control of U.S. military policy in Syria, thus leaving the U.S. military to operate in a political vacuum. Such a decision has greatly increased the risk of a military confrontation between the two main nuclear powers, the United States and Russia. A good example is the shooting down of a Syrian Air Force jet in Syria’s airspace, on Sunday June 18, 2017. This was presumably done to prevent the Syrian Army from getting directly involved in the liberation of Isis’s improvised capital Raqqa. The Syrian government is winning against the terrorist organization Isis, and that does not please the Trump administration at all. 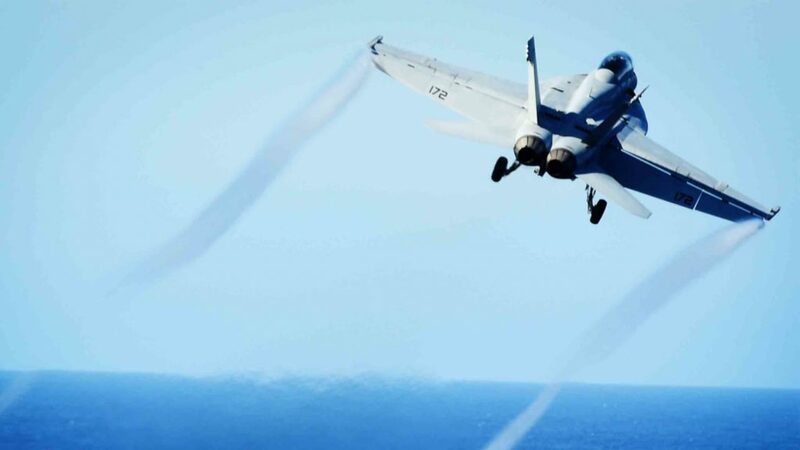 Whatever the objective, besides the obvious hypocrisy, such an act of military aggression was clearly a violation of Syria’s sovereignty and a flagrant violation of not only international law, but also of U.S. law. It was, in fact, a premeditated act of war against a sovereign nation, with no involvement by the U.N. Security Council or by the U.S. Congress, as both international law and U.S. law require. And this was after Trump bombed, also illegally, a Syrian government air base, on Friday, April 7, 2017, on a false flag pretext. If this does not remind you of Hitler bombing Poland’s air fields on September 1st 1939, what does? Indeed, would-be dictators do not like the rule of law, domestic or international. They always look for pretexts to launch wars of aggression to fit their agenda. The truth is that Syria does not represent a threat to the USA—just as Poland did not represent a threat to Germany in 1939—and it has not attacked the United States, just as Poland had not attacked Germany. If this conflict were to degenerate into something even more serious, Donald Trump would have to take full personal responsibility for the chaos and the human disasters to follow. Is it necessary to point out that Russia is legally in Syria, a member of the United Nations, having been officially invited by the legitimate Syrian government to defend itself against external aggression, while the U.S. has no legal basis whatsoever to be in Syria, has no legal right to conduct military operations in that country, and, therefore, is in clear violation of Syria’s sovereignty. Why is Donald Trump anxious to escalate the civil war conflict in Syria, with the help of al Qaeda terrorists, a conflict that could evolve into WWIII? Do ordinary Americans really approve of such incoherence, knowing that al Qaeda was behind 9/11 and 3,000 American deaths? This is another example of Donald Trump’s brinkmanship and irresponsibility in international relations. This is also a far cry from the U.S. Constitution, which vests war decisions in Congress. It is true that, since WWII, the power of the U.S. President to wage war on his own has grown appreciably. —This is no progress. But Donald Trump, who has brought numerous generals into his administration (Marine general James Mattis, Marine general Joseph F. Dunford, Marine general, John F. Kelly), is now transferring basic war decisions to military commanders. Notwithstanding the fact that the latter are clearly in a conflict of interests on this score, because the more wars they start, the more promotions they receive. That coterie of generals now forms a sort of parallel government in the Trump administration. Donald Trump may want to hide behind them to shift the political conversation from his domestic predicaments in Washington D.C. And, a war abroad is often a convenient rallying point for an American politician who is low in the polls. In other words, an escalating war in Syria could be in Trump’s short-term personal political interest. Moreover, after a presidential campaign during which he promised to help disadvantaged voters and improve social programs for the poorest Americans, once in power, Donald Trump did pretty much the reverse of what he promised. Indeed, his nominations and his policies have mostly been designed to enrich large corporations, the Military-Industrial complex and, through planned tax cuts, the super rich among Americans, while depriving average and poorer Americans of health care, education and other essential social services. The newly elected president has also shown a serious lack of transparency and openness. He has tolerated that his immediate family’s wealth-seeking activities received favorable treatment from foreign governments, anxious to draw favors from the new administration. Similarly, he has not severed himself from obvious personal conflicts of interests, and he has not even released his tax returns as previous American presidents have done. As a consequence of all of this, if the Democrats were to gain control of the House of Representatives in 2018, it is a virtual certainty that President Trump would be subjected to an impeachment procedure. Whether it will succeed is another matter. What is certain is that this will be most destabilizing for the economy. Therefore, yes, a would-be dictator can be elected, most often, as history shows, with a minority of the votes. And no democratic constitution in the history of the world is totally protected against violations of its principles, if an oligarchy in power tolerates or welcomes them and when a substantial part of the population approves of them. That is why it would presumptuous for Americans to believe otherwise.